Another vote for Kreiga R25 here. The quadlock strap system really unloads your shoulders and is far better than a regular backpack as far as comfort on the bike. I did 187 miles on Saturday (120 miles in the mountains) with the Kriega on without any soreness. My best friend went for the Ogio Mach 5 (because it does look cool) and he said his shoulders were not happy after a longer ride. For me, it came down to aesthetics vs. function. The Kriega looks more purposeful and homely, but I was not convinced the aesthetics of the Ogio were worth the trade off. I will note, the Ogio is more compartmentalized, so it's a good pack for commuting to work or school since you can easily organize it. The Kriega is one big compartment, so organization is less friendly, but you sure can stuff a lot into it when needed. Last edited by np2005sti; 07-21-2014 at 03:15 PM. Another vote for Kreiga R25 here. The quadlok strap system really unloads your shoulders and is far better than a regular backpack as far as comfort on the bike. I did 187 miles on Saturday (120 miles in the mountains) with the Kriega on without any soreness. Yes, i agree. Though, never felt bad with the shoulders myself...but i came from using something heinous. IMO the Kreiga has always struck me as being best suitable for a touring ride. Even, w/ a GS/Multistrada type of trip. The quadlock is innovative. Both great packs! Last edited by alfredogtx; 07-21-2014 at 03:18 PM. If you can't find both in a local store, you could always order one (or both) from Revzilla and then return whichever you don't like as much. Not ideal, but that way you won't wonder "what if..."
Like Alfredo said though, both good choices. Not a bad idea at all...One never knows until they try it. Just don't ride too much with them before you return either-or, since they may deny the return as cause of it being "used." Last edited by alfredogtx; 07-21-2014 at 03:45 PM. I have Kriega R20 backpack I use in occasional. It's amazing how it puts the weight toward your chest instead of on your shoulders as you add weight to the pack. Build quality is great also. np2005sti, XCLR8TN and Ducati90 like this. Not a bad idea at all...Just don't ride too much with them before you return either-or, since they may deny the return as cause of it being "used." Yeah, agreed, I meant wear it around the house. Agreed -- I bought a Kriega US-20 tailbag before my backpack, and thought the construction was fantastic. Gave me faith that the backpack would be the same quality -- and it is. 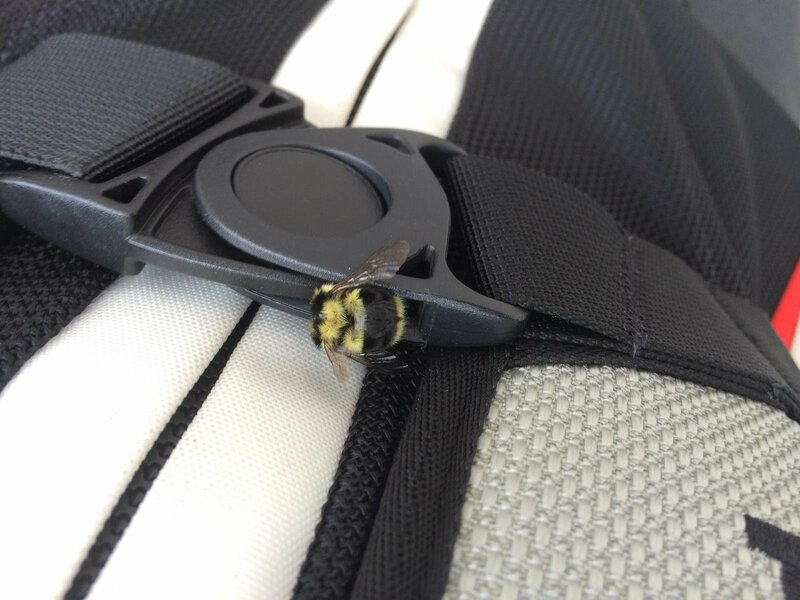 Added bonus: the quadlock gives decapitated bees a place to rest when you're out riding. zilverz and alfredogtx like this. np2005sti and Ducati90 like this.